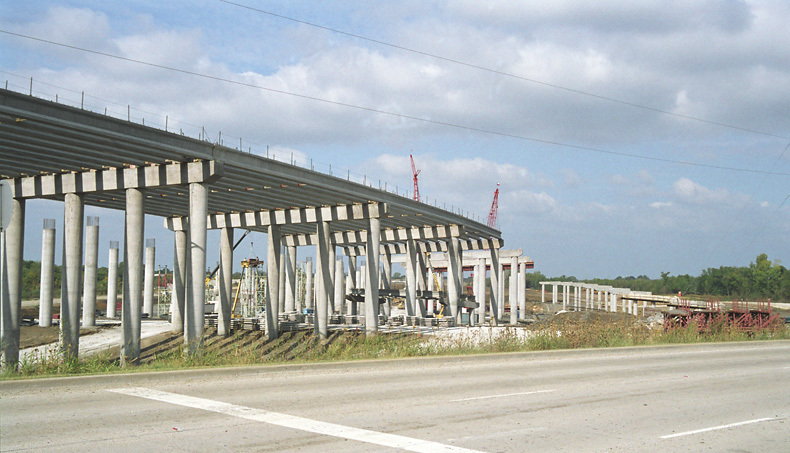 The SH 190 Super Connector connects SH 161 at IH 635 to SH 190 (Bush Turnpike) at IH 35E. Construction cost of the project is around $428 million. These views start at IH 635 and proceed northward. 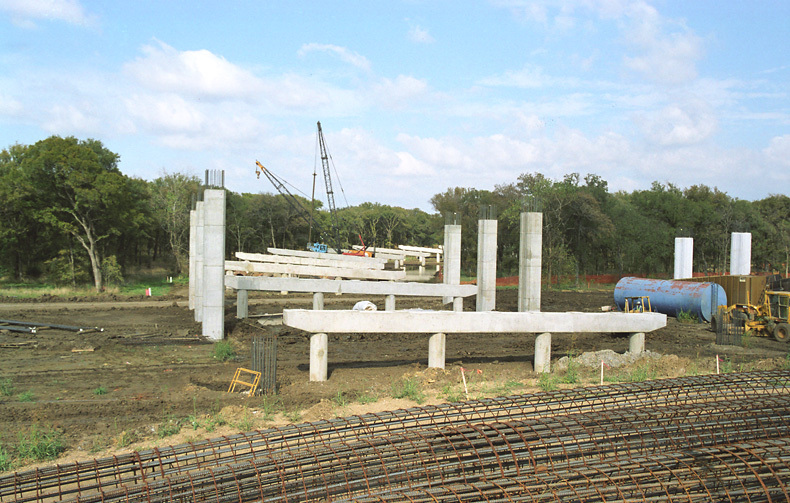 This view shows the piers for the elevated structure along Valley View Road. 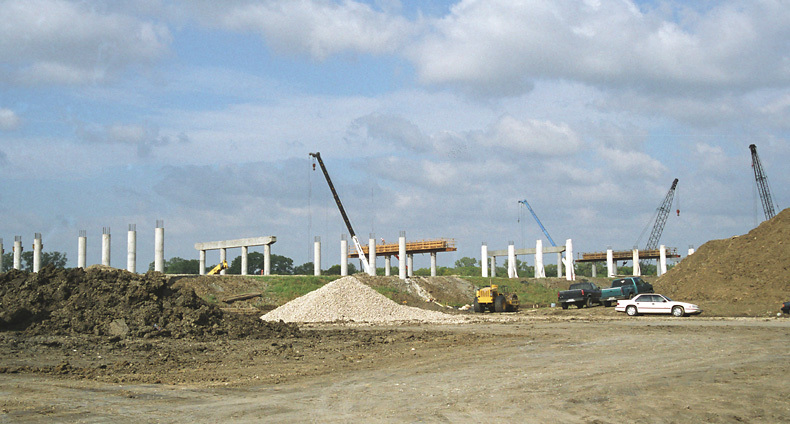 This view shows the piers for an elevated exit ramp along Valley View Road. 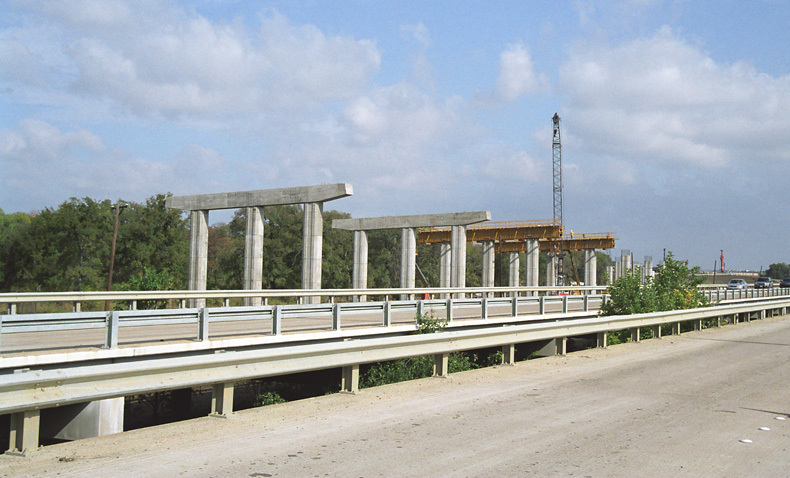 The tollway veers away from Valley View Road on an elevated structure. A view of the elevated structure. 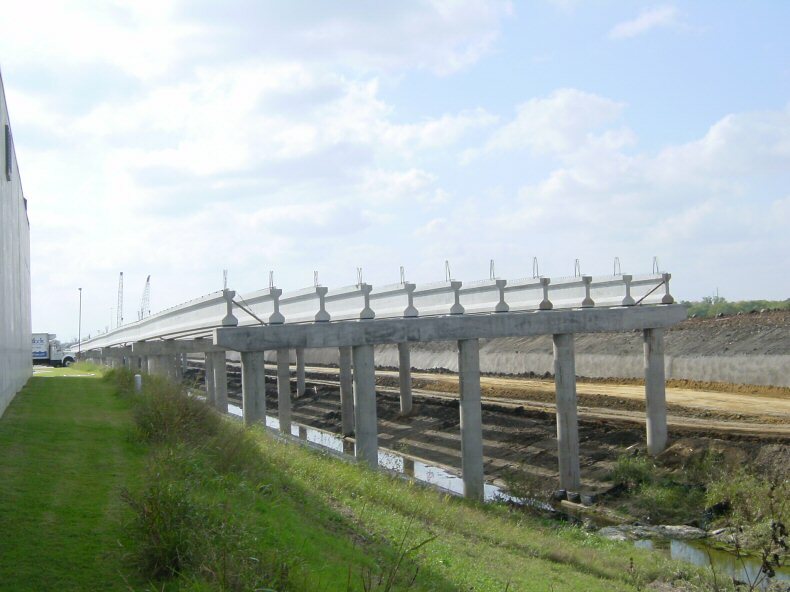 Further north the elevated structure gains more altitude. 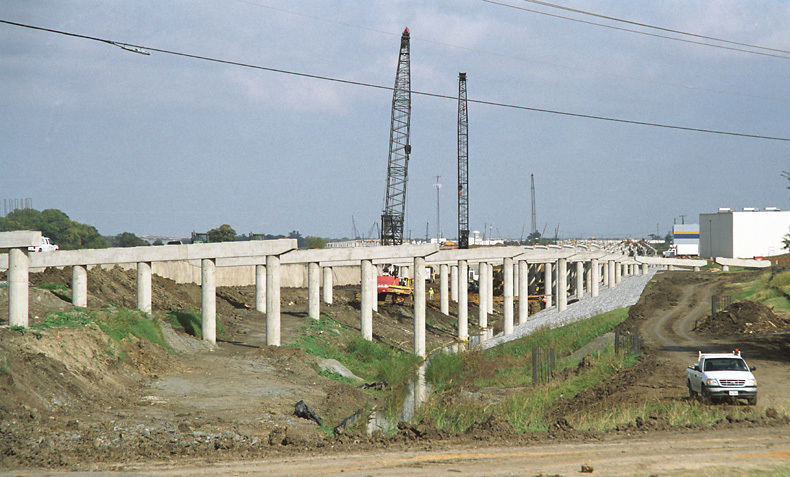 The tollway crosses a levee and makes a ditch crossing. The tollway alignment is next to Luna Road as we get close to Belt Line Road. This view looks north from Belt Line Road. A view along Luna road just north of Belt Line. The Tollway and Luna Road diverge at this point. Looking north at Sandy Lake Road. 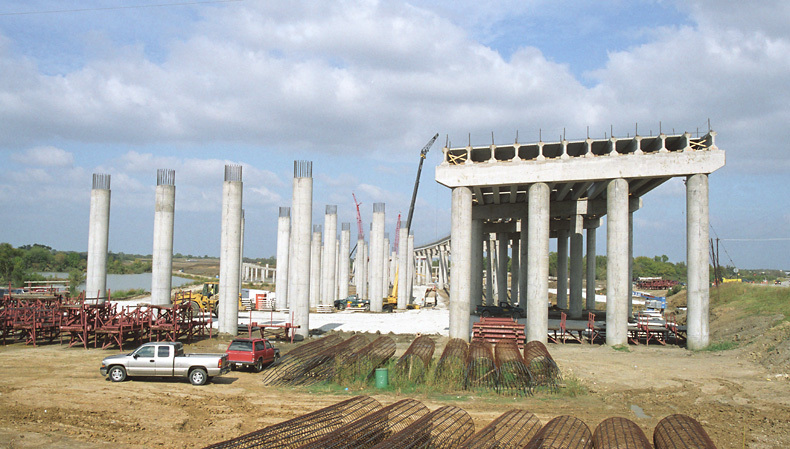 The tollway is no longer on an elevated viaduct at this point and this will be a conventional overcrossing. In the background you can just barely see the connection ramps at the interchange with IH 35E. 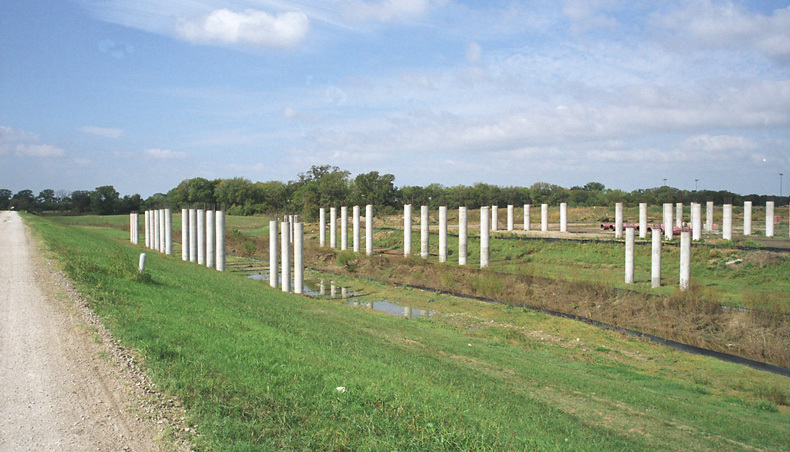 The super connector ends at IH 35E, where it joins with the existing section of the 190 Bush Turnpike.